This is the second time I'm making Totoro Soba. 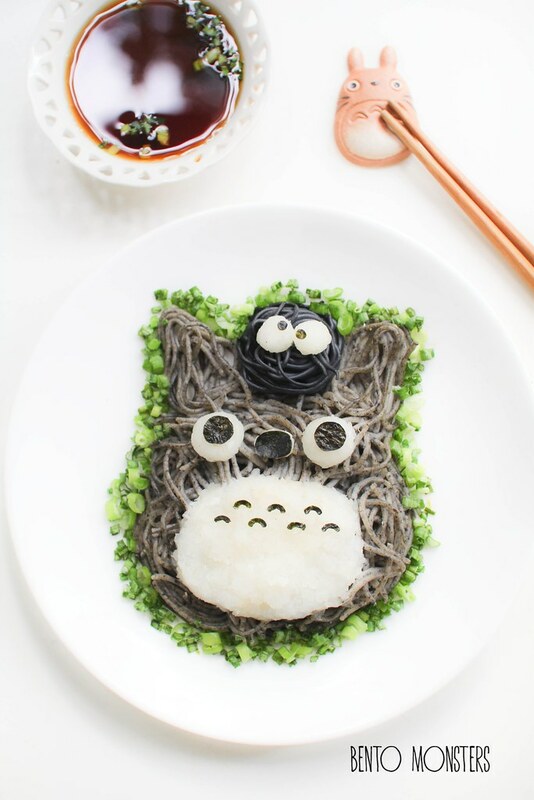 My first one was made in 2013, inspired by the Totoro soba that went viral online. After that, I went on to use noodles to make many different food art. 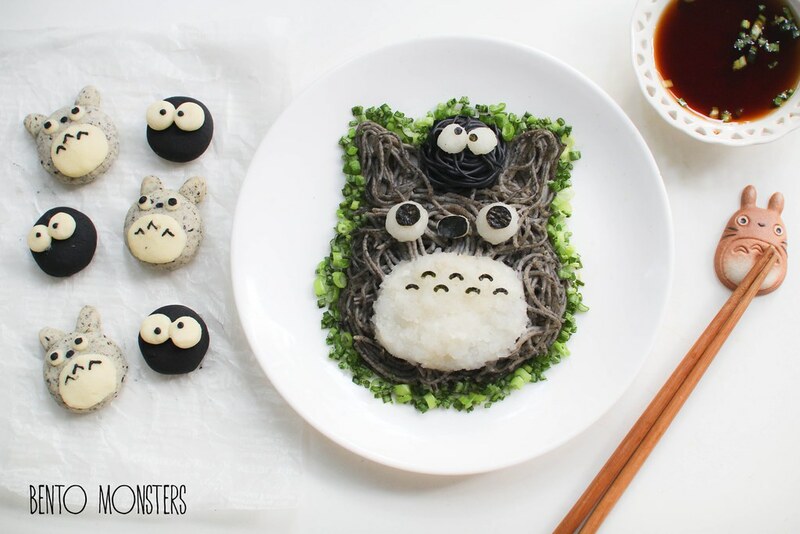 This time, I'm remaking Totoro again using my homemade black sesame noodles. My black sesame noodles recipe probably need a little tweaking, added a little too much black sesame and the noodles broke quite easily. 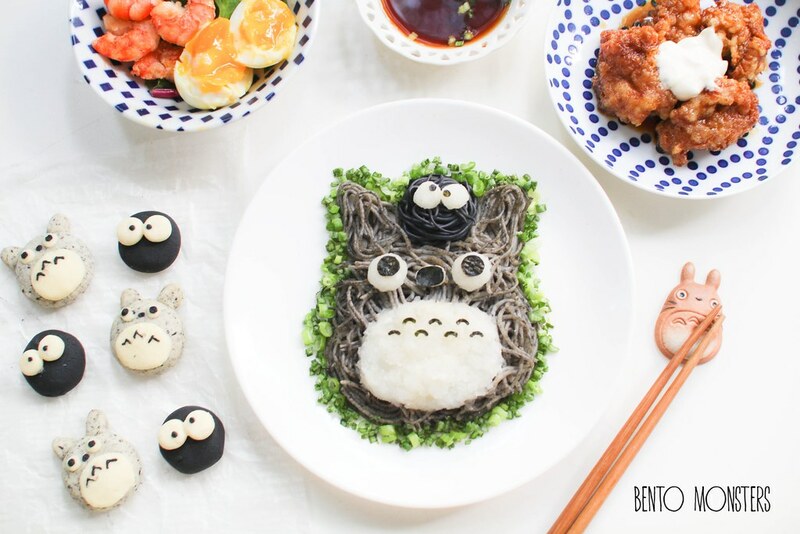 Susuwatari, the black soot on Totoro's head was made from charcoal noodles, a little goes a long way when using charcoal, very little is needed to colour the noodles black. 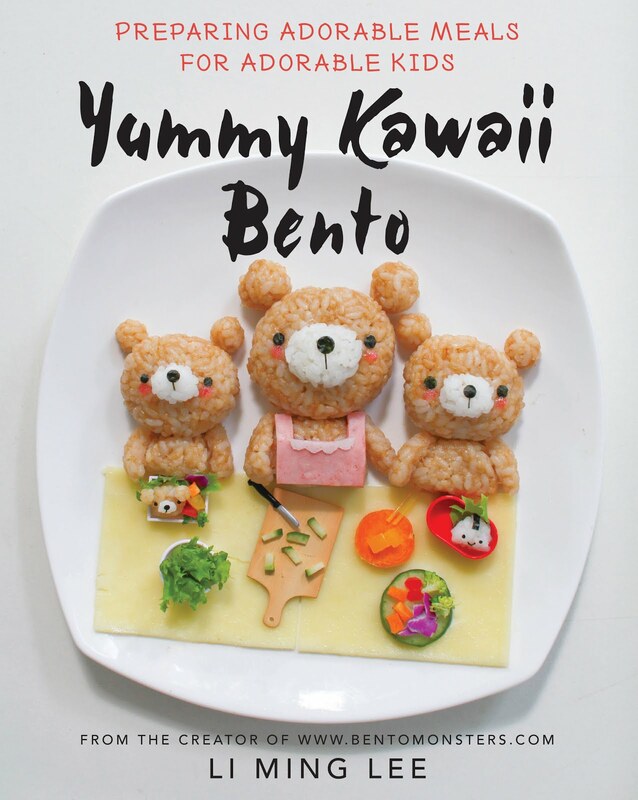 Other ingredients used to make this were grated daikon and nori. Noodles were served cold with a soy sauce based dipping sauce, very refreshing for the hot weather. The cookies at the side are made from black sesame and charcoal as well, I'll leave the update and recipe for them for another post next time. 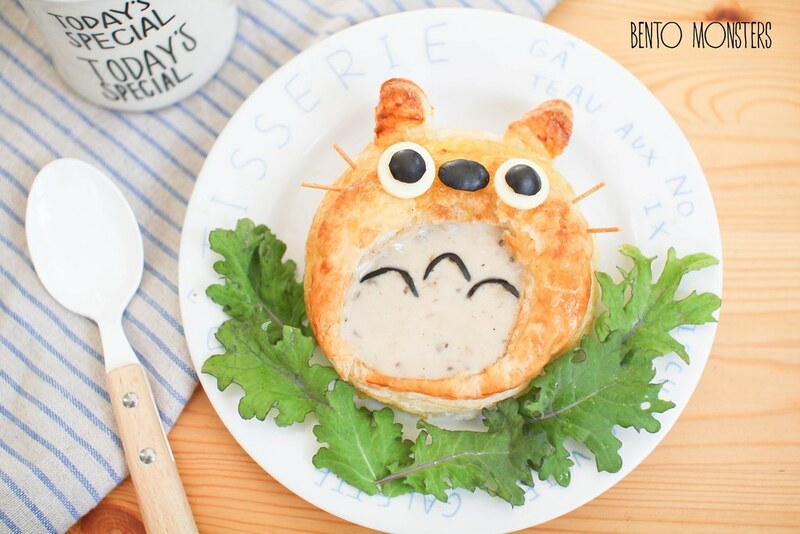 This is a puff pastry Totoro soup bowl filled with mushroom soup. I used ready made puff pastry sheets for this so it was quite easy. Other ingredients used were cheese, olives and fried pasta. This is another version of the puff pastry soup, did not quite liked how it turned out though. 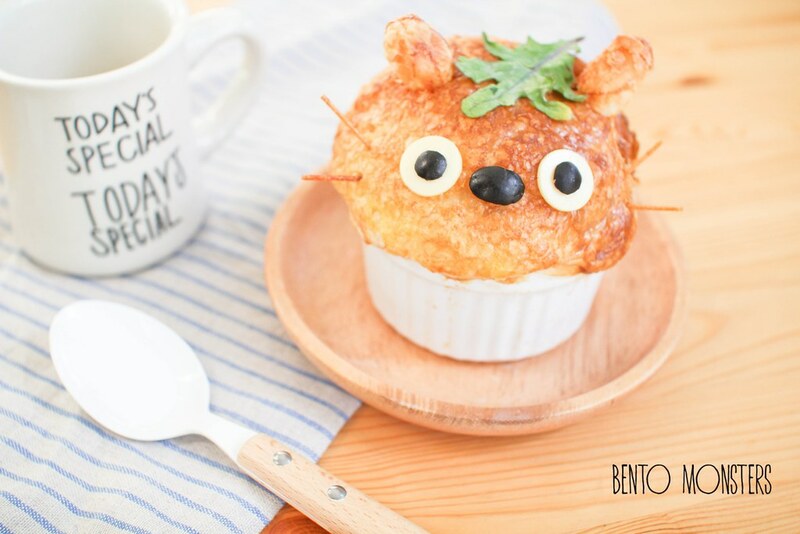 The soup was in the ramekin for this and I covered up the ramekin with a puff pastry on top. 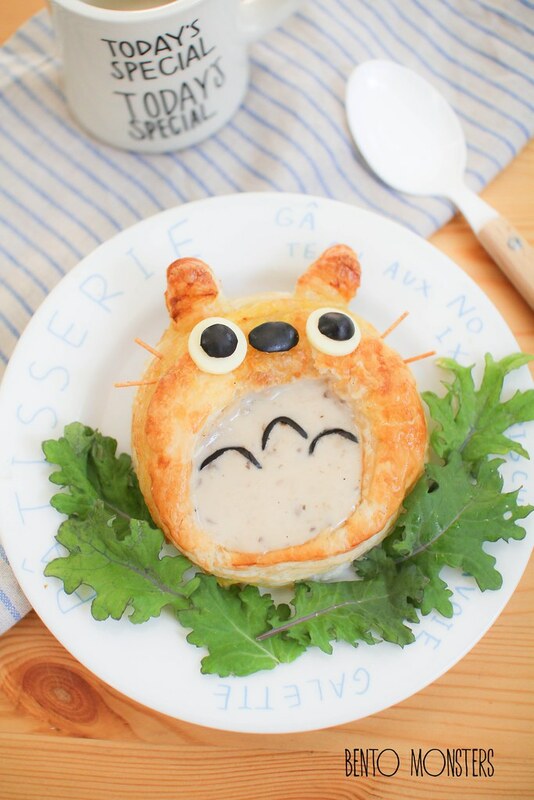 Love your Totoro soba and puff pastry! All very nicely made!